During this time of year, I seem to approach my golden jewellery more often than usual. Autumn, for me personally, is a time for golden, warmer tones so my beloved silver-wear gets shoved to the back of my jewellery box for a while. Additionally, this year I've gained a growing passion for subtle accessories to incorporate a little extra to my outfits. 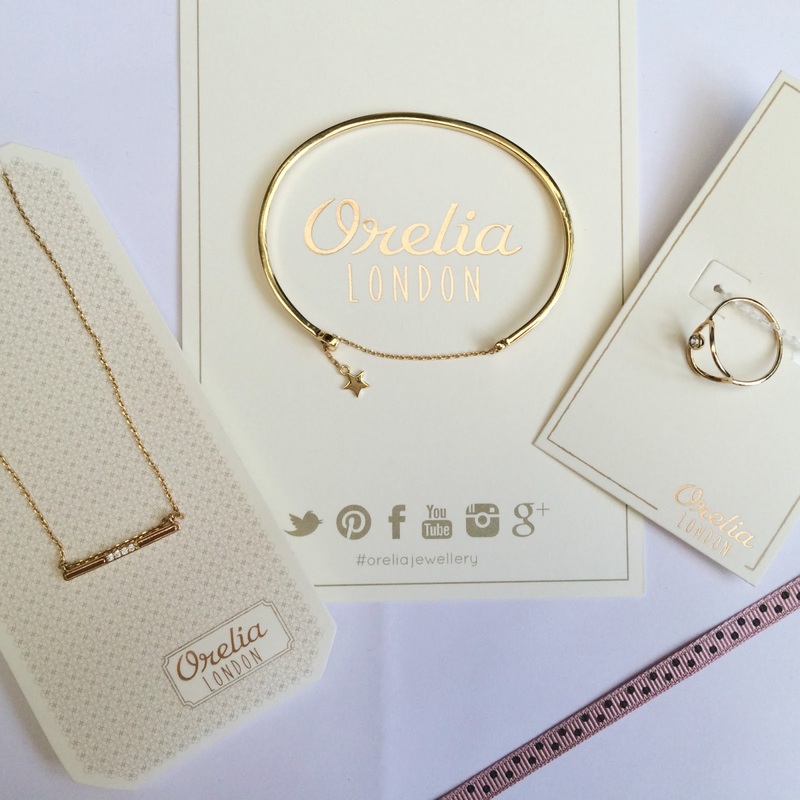 Therefore, I couldn't do anything but get excited when contacted by Orelia Jewellery early September to collaborate on a post including their gorgeous products. 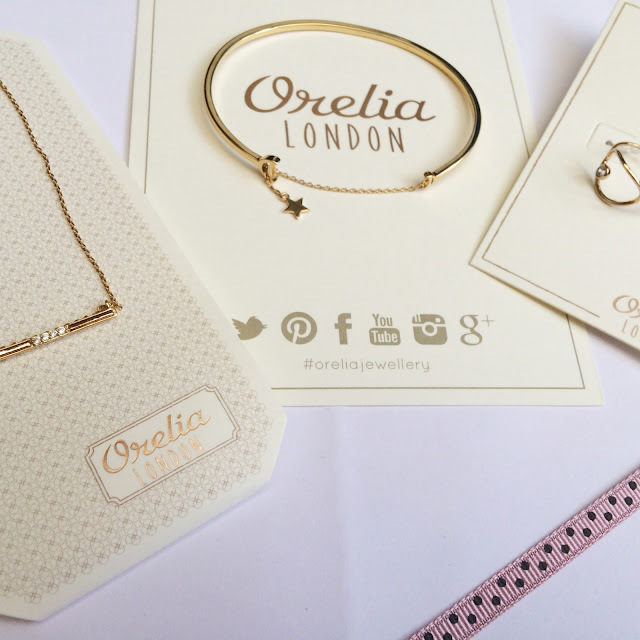 I've been a huge fan of this trusted brand for some time now; they work alongside well-known brands, like topshop, to deliver the best jewels to girls who loooove adding a little sparkle to their attire. As seen on the left of the photo, you are introduced to a pretty rectangular crystal bar thread necklace with 4 diamontes in the centre. This is a necklace I've been pairing with many of my sixth form outfits; it is so versatile and works with absolutely everything/any occasion. One of those must-have jewellery pieces, I think! 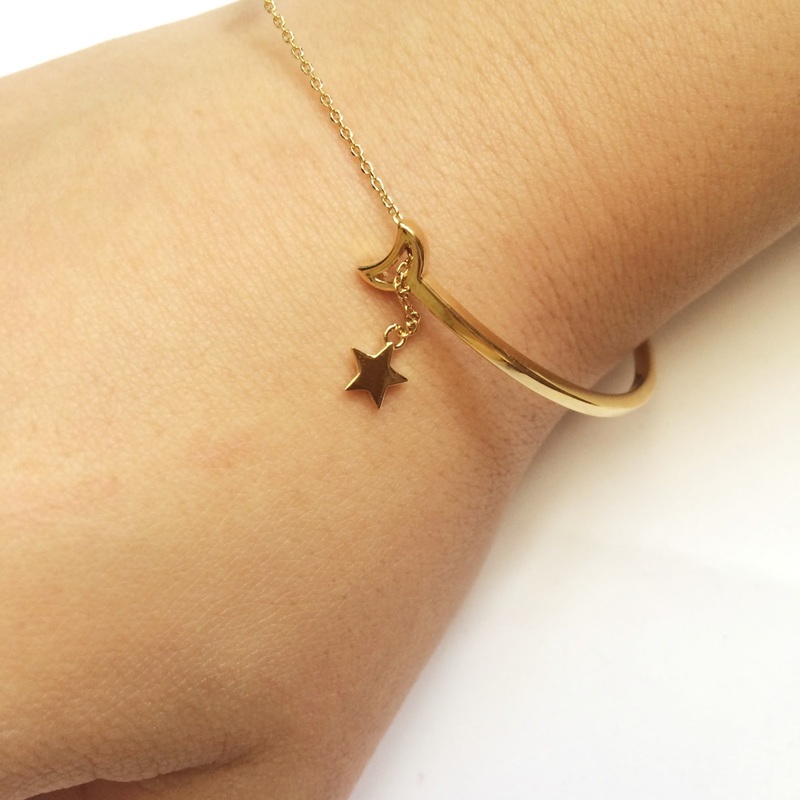 My favourite of the three pieces has to be this Star Lariat bangle - this thin, simple golden bangle is fastened by a star through a cut-out moon. I love this very subtle but unique look - the night theme is appealing and would be a great addition to an evening outfit. This also reminds me of bonfire night, everyone spends their evening outside roasting marshmallows, sitting around a campfire or watching fireworks - one of my favourite days in the A/W period. If you've never heard of Orelia before, where have you been? 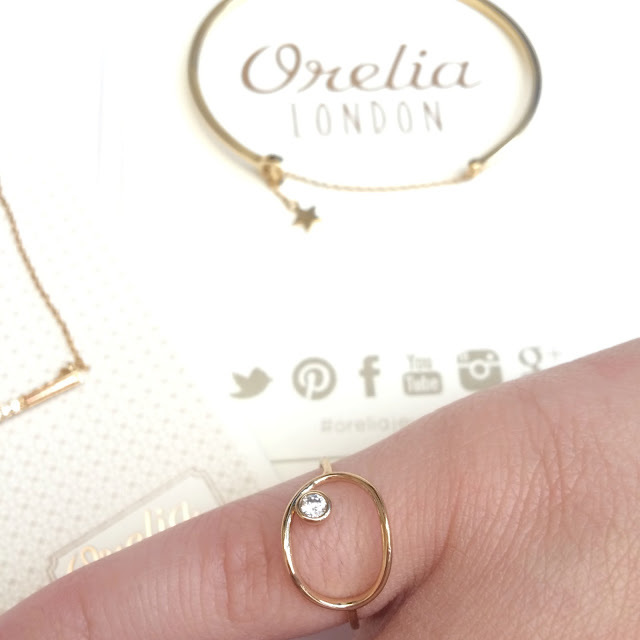 You definitely need to take a browse at the wonderful things they have to offer; they cater to anyone's jewellery preferences and needs! Thank you so much to Etail Pr for giving me this oppurtunity; if you're a smaller blogger who wants to get noticed and take part in collaborations, sign up at ETAIL PR ASAP!!! These are such lovely pieces!